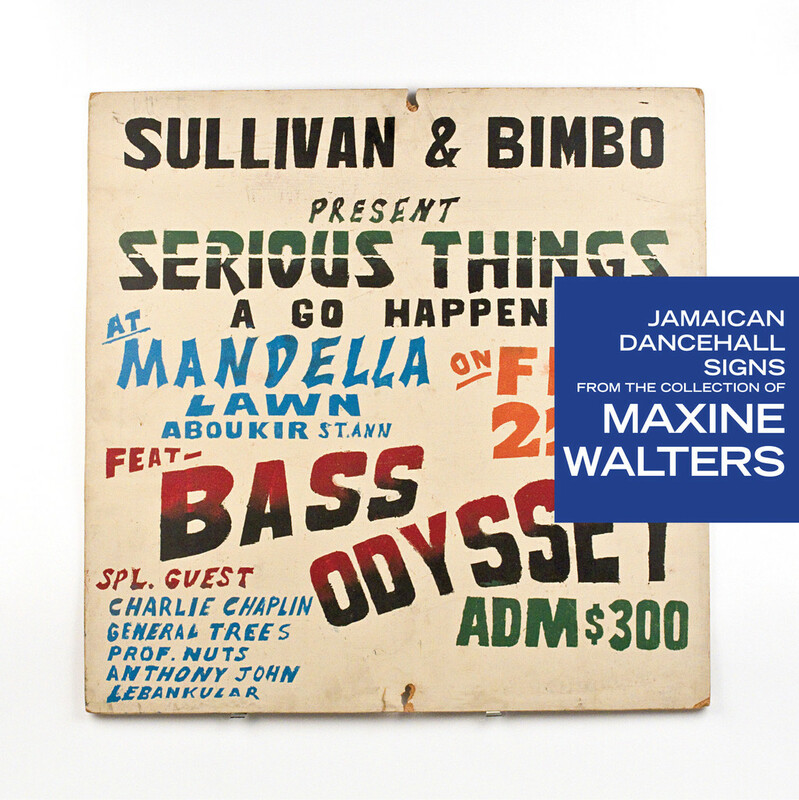 Welcome to Miss Lily’s first published release, Jamaican Dancehall Signs From The Collection of Maxine Walters. This wicked looking book spotlights the vibrant hand-painted signs that can be found all over the island promoting that week’s bass-ical dancehall sessions or “bashments”. Technically illegal, these rough-hewn masterpieces of lettering and color are nailed to poles and trees, usually during the middle of the night. Over the past 12 years, filmmaker-by-day, Maxine Walter has become an obsessive collector of these brilliant artifacts and is regularly seen scaling trees, poles, walls, and fences, crowbar in hand, to add new works to her extensive collection. 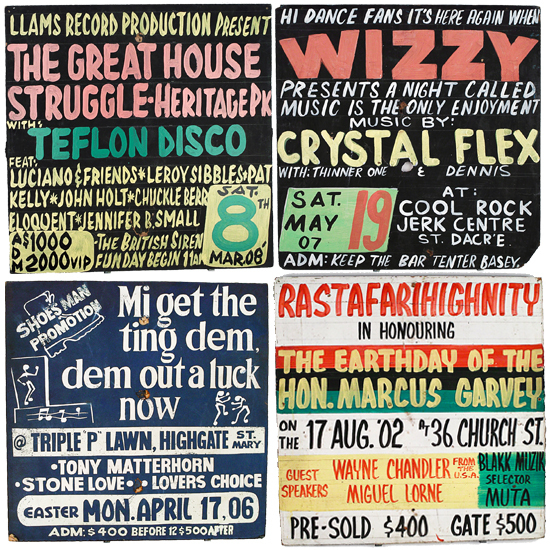 Jamaican Dancehall Signs From The Collection of Maxine Walters marks the inaugural publishing venture by Miss Lily’s Variety, the retail arm and gallery / cultural space of popular New York City Jamaican restaurant, Miss Lily’s. So, right now, this limited edition, softcover book is high on my “I need this!” list of treats. THE NYC exhibition is has just finished but you can get the book on-line for 20 bucks! A bargain. 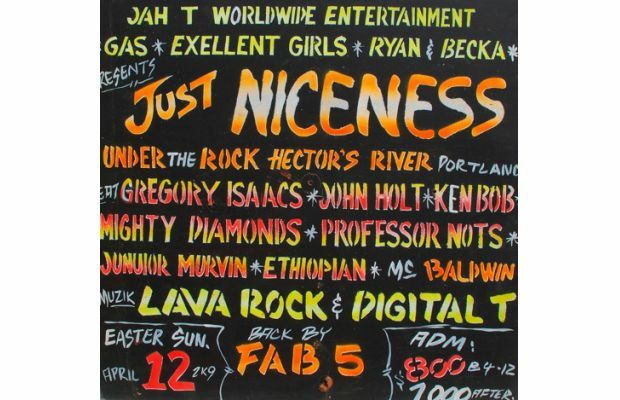 This entry was posted in Just Runnings, Words, Sound & Power and tagged Art, bashment, Dancehall, hand painted signs, Jamaica, Maxine Walter, Miss Lily's, NYC, Reggae, Roots. Bookmark the permalink. 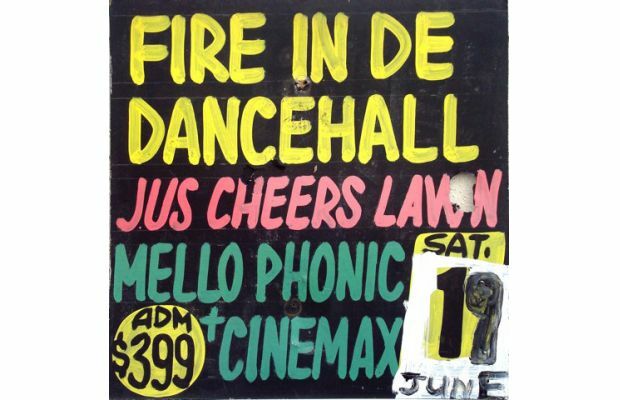 I love these Jamaican dancehall signs! This looks like a great book! Thanks… let’s give this collector some props… and the the publisher… yeah, pure niceness!